I’m joining in on Vanessa of See Vanessa Craft‘s 20 Days of Christmas. 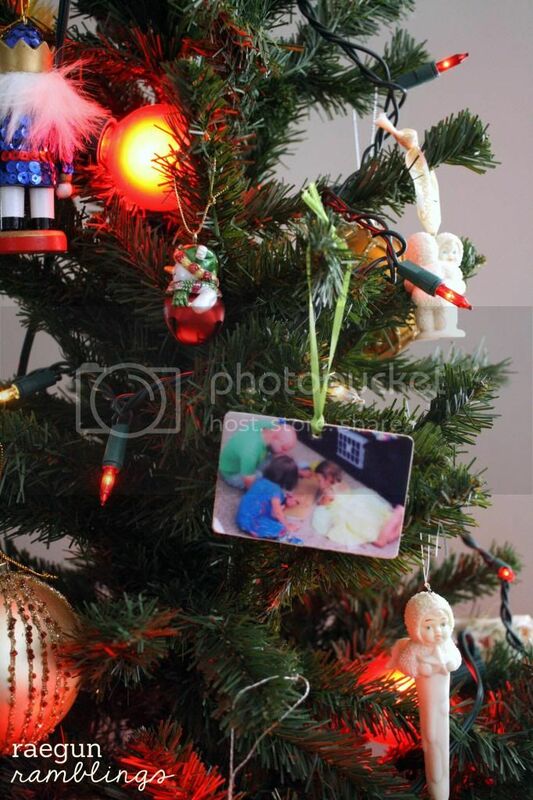 I’m sharing a quick and fun photo ornament that you can do at home. If you’re like me sometimes you just forget to order things with time so this is perfect for all of you who want something personal, inexpensive. but still cute. I made a bunch of these for friends this year I’m excited to give them out. Hop on over to see my Handmade Photo Ornament Tutorial. PS this is my absolute favorite of my hubby and the naughty nieces, he’s drawing a castle! 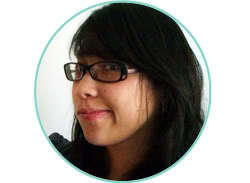 If you’re visiting from See Vanessa Craft, welcome it’s wonderful to have you! You can see a list of my most popular posts in the right hand column and if you are a blogger yourself my What We Wore, Read and Made Wednesday Link party is going strong. I’d love you to share any posts you’re proud of. And I hope you stop back in tomorrow when I’ll be sharing a recipe for Double Chocolate Bacon Cookies. And they are super super tasty! 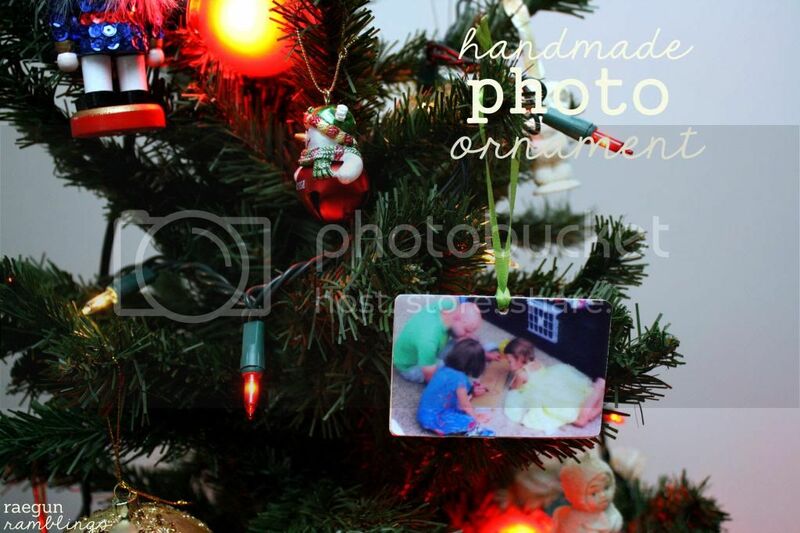 Today I want to share with you my easy handmade photo ornament tutorial. I made a bunch of these for my friends this year and I took my favorite picture of my husband and my nieces and made one for us. It’s relatively easy but you will need to factor in some time to let every thing set. First size and print you photos I did it in Picasa which is a free program and super easy to use. If your wood piece has rounded corners trim your photo. 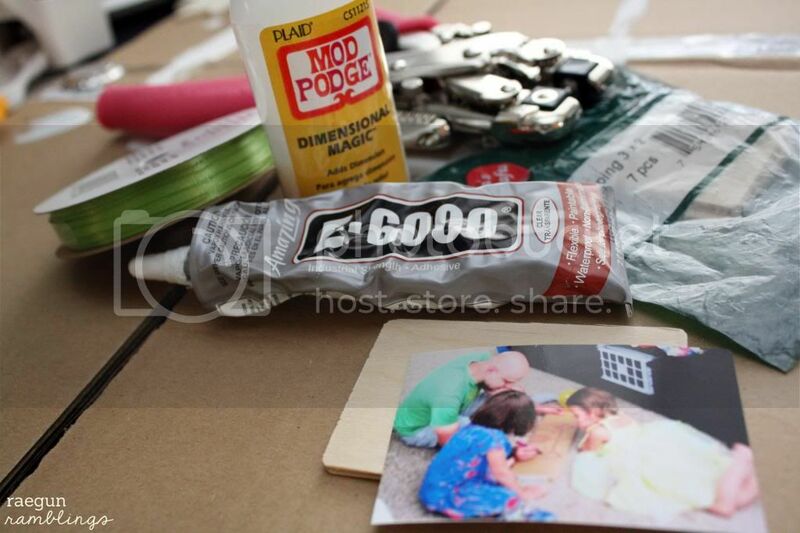 Glue your photo to the wood piece (I used both E6000 and mod podge on different occassions and they both work fine). Punch a hole or if you don’t have anything to punch a hole you can just glue a ribbon loop to the back for hanging. Next place your ornament on a flat surface and top with dimensional magic. Pop and/or move any air bubbles you see off the edge. Let dry (a few hours). It will appear cloudy at first but then it will dry clear. String ribbon and hang on your tree. Easy right? I would love if you’d let me know if you try it out. I’d love you to stop by and visit me at Rae Gun Ramblings or connect with me on facebook, twitter, and pinterest! Thanks for having me Vanessa. This looks darling. Love the photo!